The BIR has recently released new policies on the use of revised Income Tax Returns as found under Revenue Regulations No. 2-2014 for taxable year 2013. 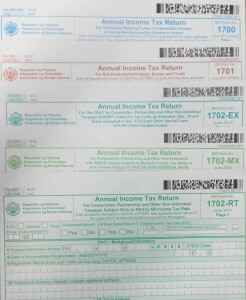 The annual income tax returns BIR Form Nos 1700 and 1701 for individual taxpayers have been enhanced, and BIR Form No 1702 for non-individual taxpayers has been divided and classified into three (3) categories: EX for exempt under the tax code, RT for regular income tax rates, MX for multiple income tax rates. 1. The revised BIR forms shall be used for filing of Income Tax Returns (ITRs) effective 2014 covering the taxable year ended December 31, 2013. 2. 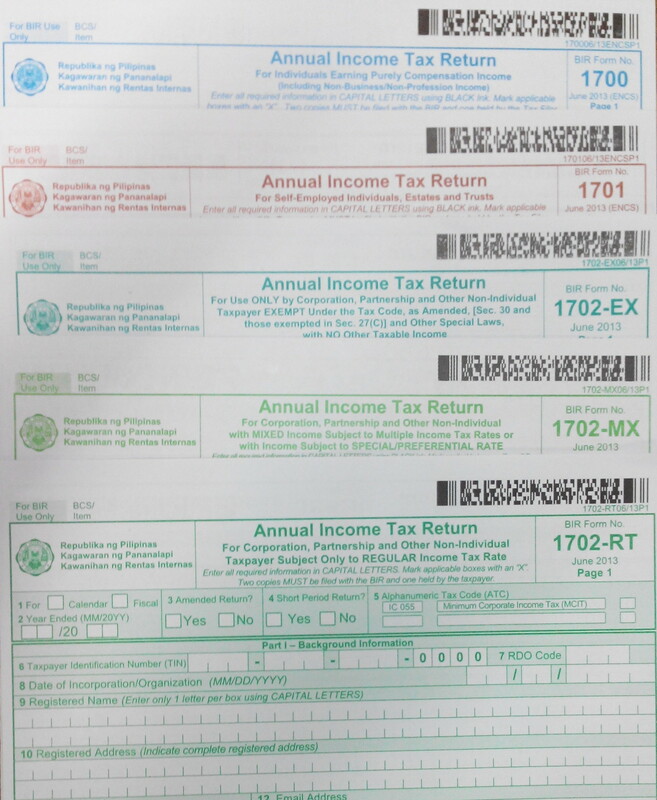 The requirement for entering centavos in the ITR has been eliminated. If the amount of centavos is 49 or less, drop down the centavos (e.g., P 100.49 = P 100.00). If the amount is 50 centavos or more, round off to the next peso (e.g., P 100.50 = P101.00). a.3 Those with multiple income tax rates such as income subject to the tax rate under Section 27(A) and 28(A)(1) of the Tax Code, as amended, AND also with income subject to special/preferential tax rates. b.3 Those with multiple income tax rates such as income subject to income tax rate under Section 24 of the Tax Code, as amended, AND also with income subject to special/preferential tax rates. The facility and the package are accessible from the BIR website, www.bir.gov.ph. Try to browse the respective system’s Frequently Asked Questions and the respective form’s job aids packed in the package. If you have questions and clarifications, call the BIR Contact Center at 981-8888 or email to contact_us@cctr.bir.gov.ph or post them in the message area. just saw this post. hope you can discuss how to fill up the 1701. more power!